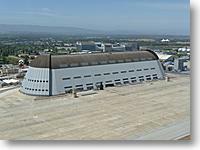 Since the wind was picking up very early but also very strongly, the Airship Ventures Zeppelin returned already about noon back to Moffett Field where it was stored in hangar 2. 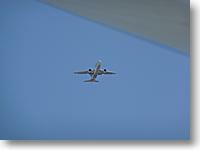 The following photos give an idea of the sights along that route. 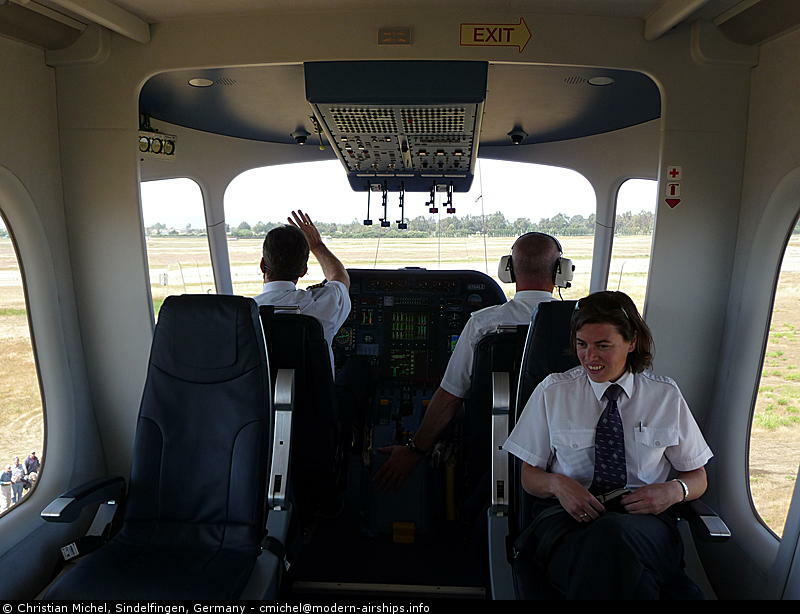 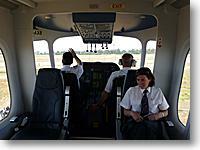 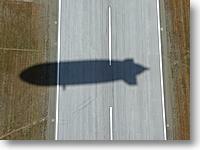 05-09 12:11 - Take off with three Zeppelin pilots on board. 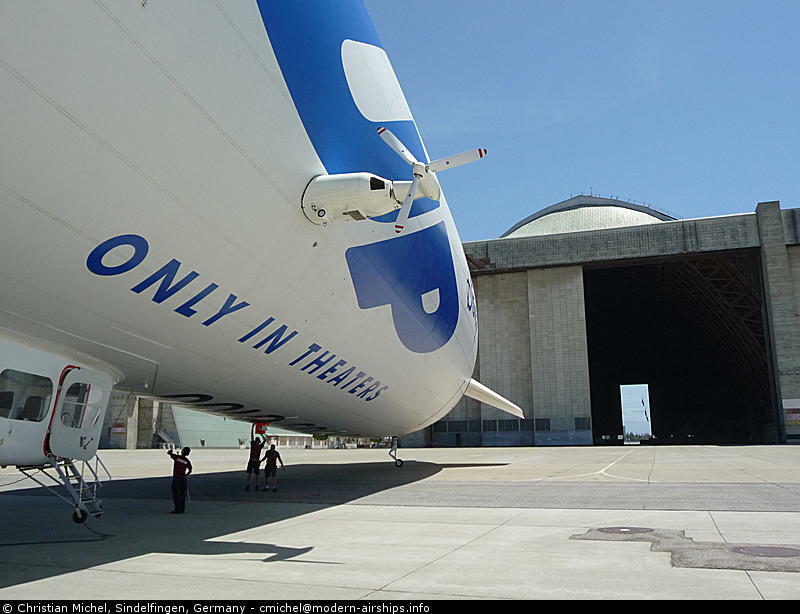 05-09 12:11 - Hangars close to the Zeppelin landing point. 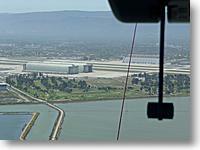 05-09 12:12 - View back to Oakland airport. 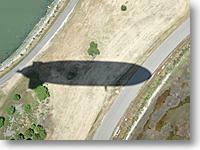 05-09 12:12 - Shadow over the neighboring park. 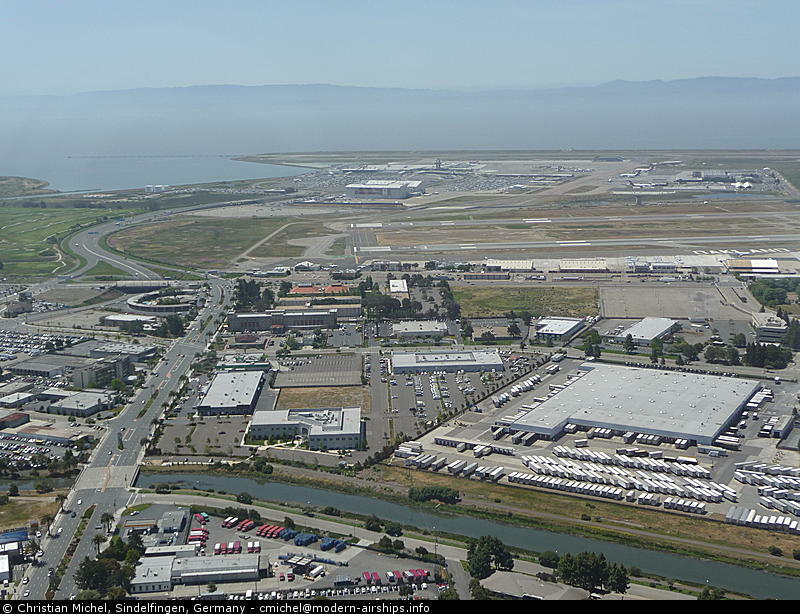 05-09 12:13 - Oracle Arena and McAfee Coliseum 05-09 12:13 - Another view on Oakland airport, including the Holiday Inn which is the check-in for Oakland based flights. 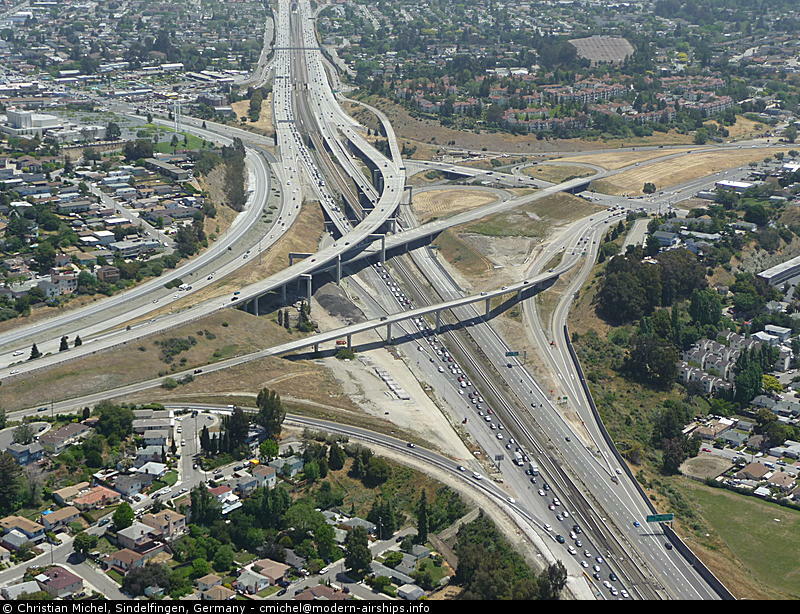 05-09 12:14 - Martin Luther King Jr Regional Park 05-09 12:21 - Heavy traffic on westbound 238. 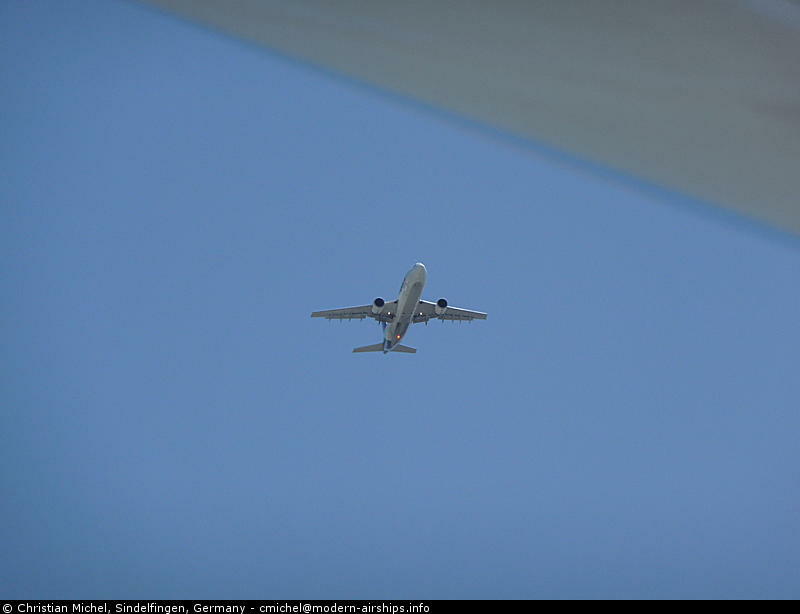 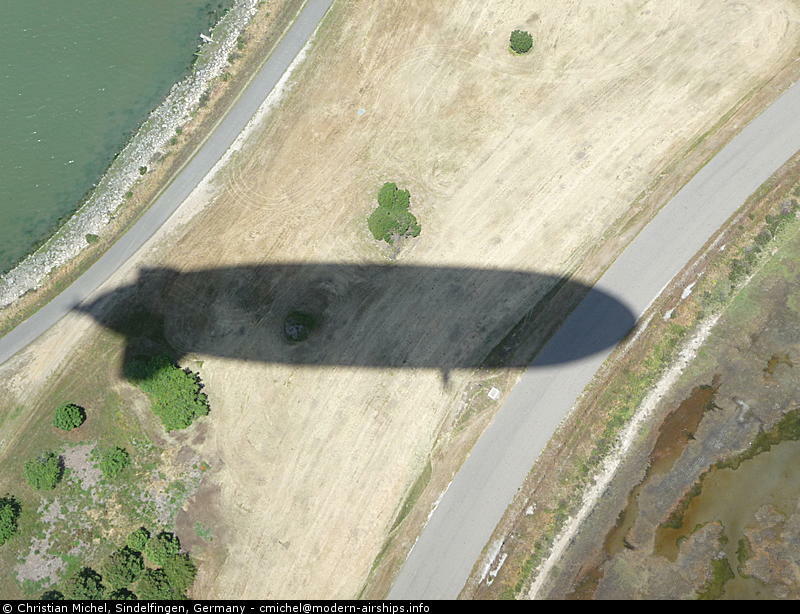 05-09 12:22 - Shadow in the direct flight path. 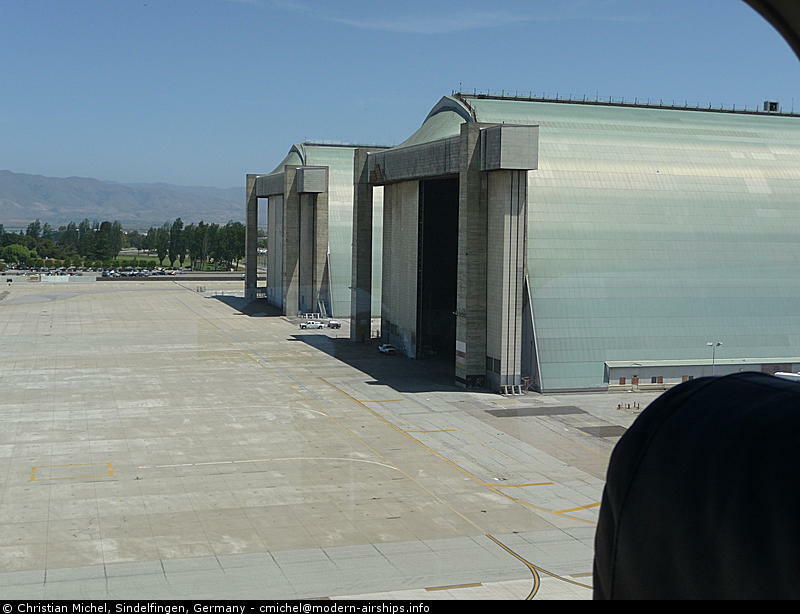 05-09 12:29 - Or on a large warehouse. 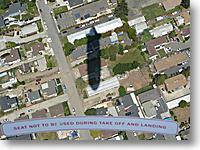 05-09 12:30 - A Fed-Ex 767 on final approach to Oakland looks like it wants to punch the envelope. 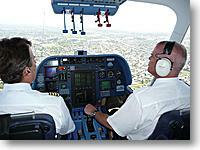 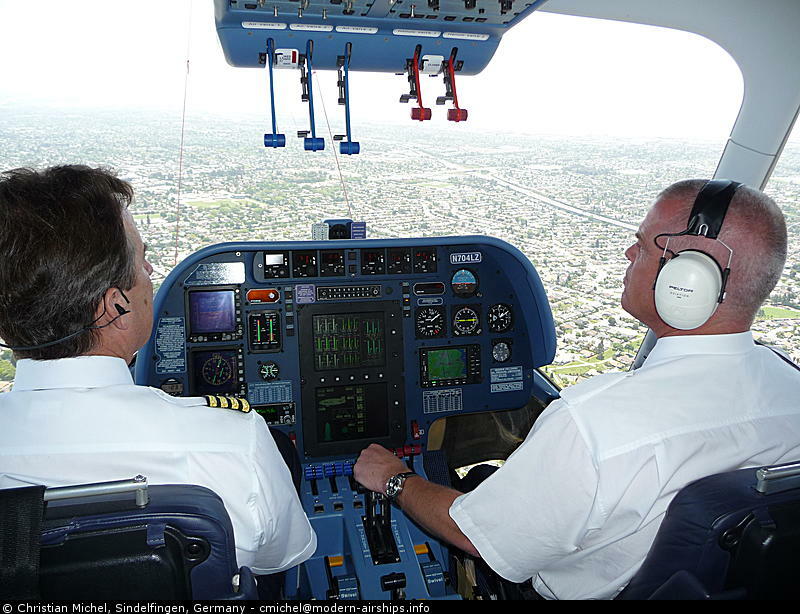 05-09 12:32 - Captains Jim Dexter and Fritz Guenther. 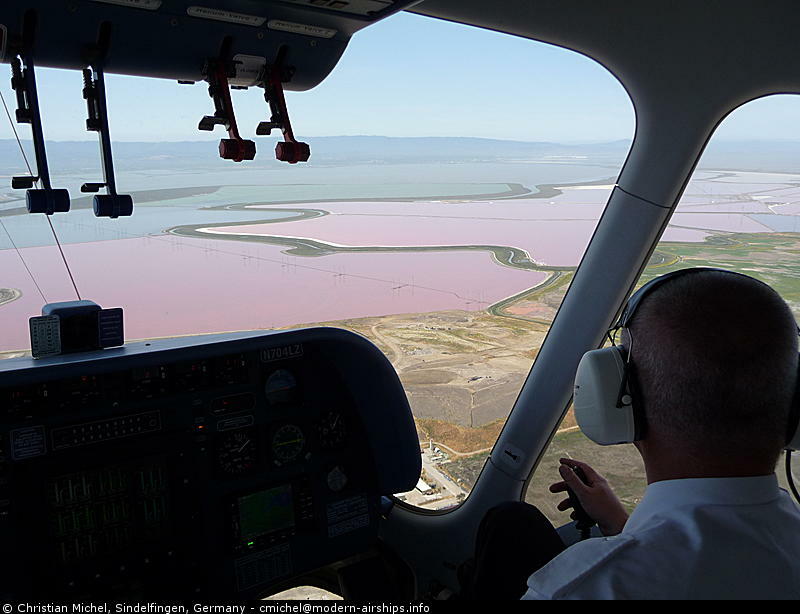 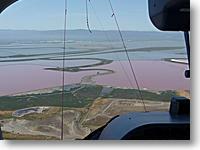 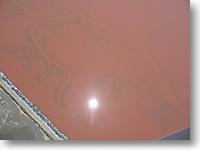 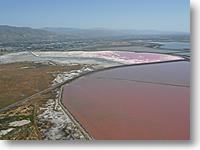 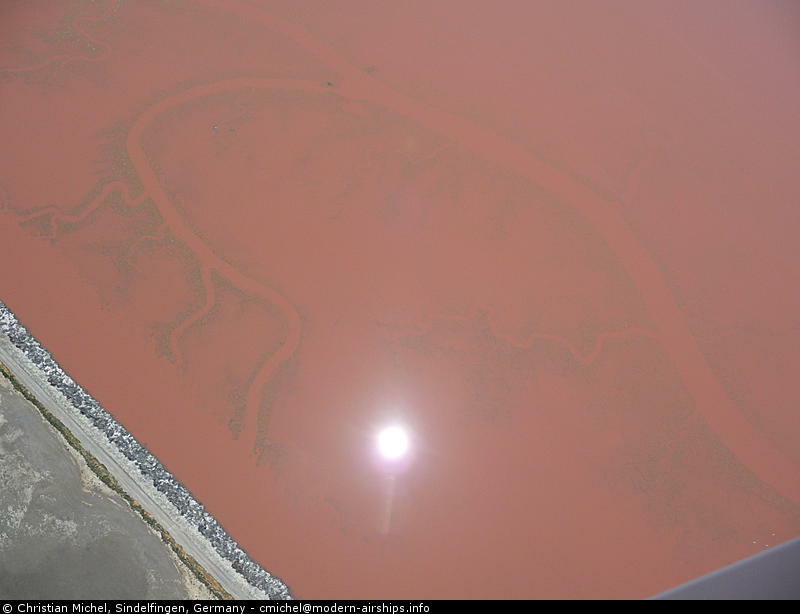 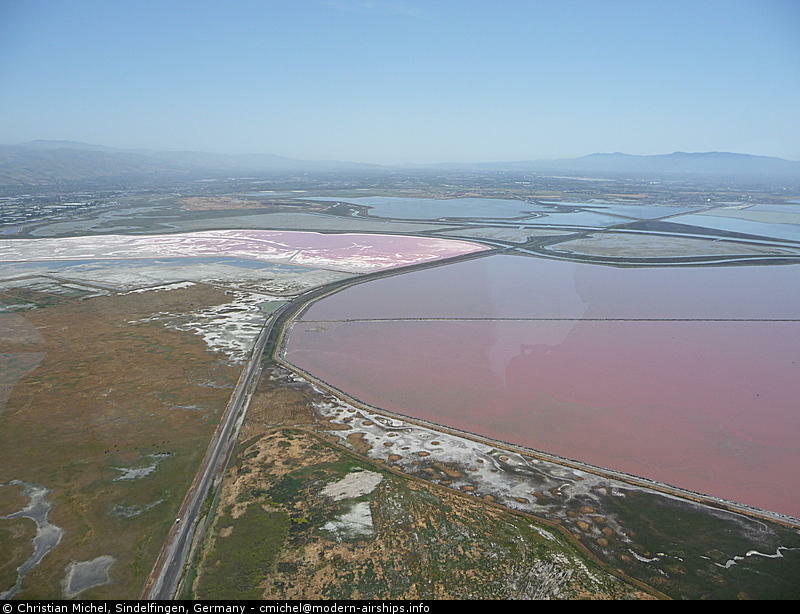 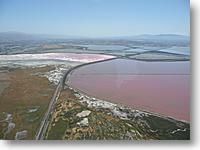 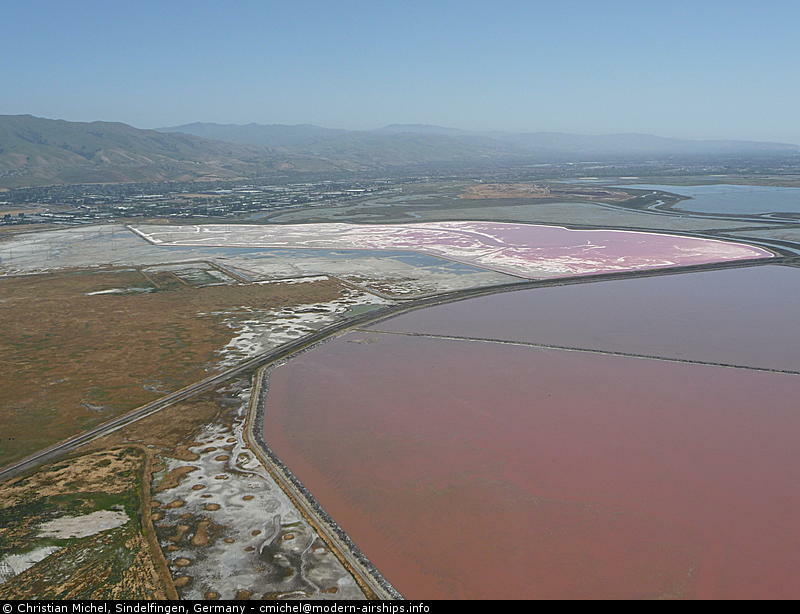 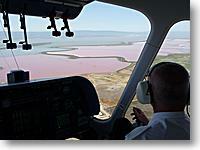 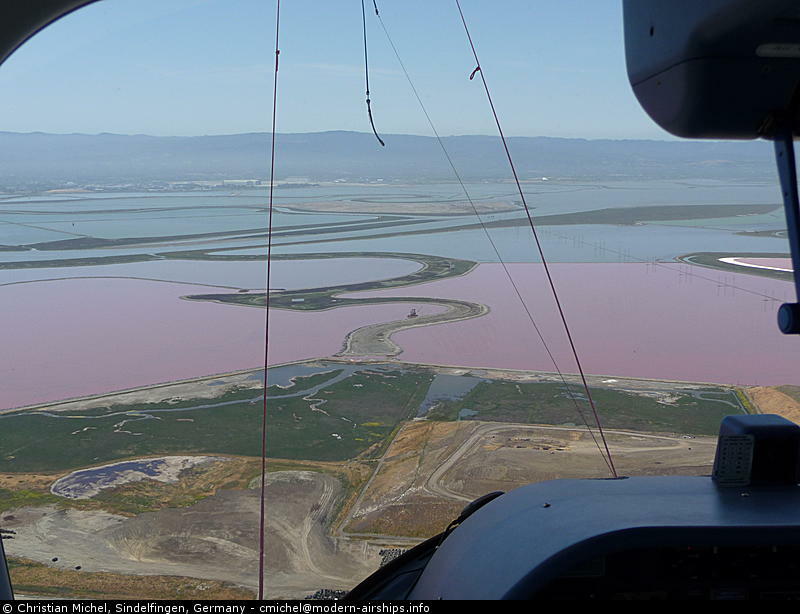 05-09 12:40 - Approaching the interestingly colored salt water basins in the southern bay. 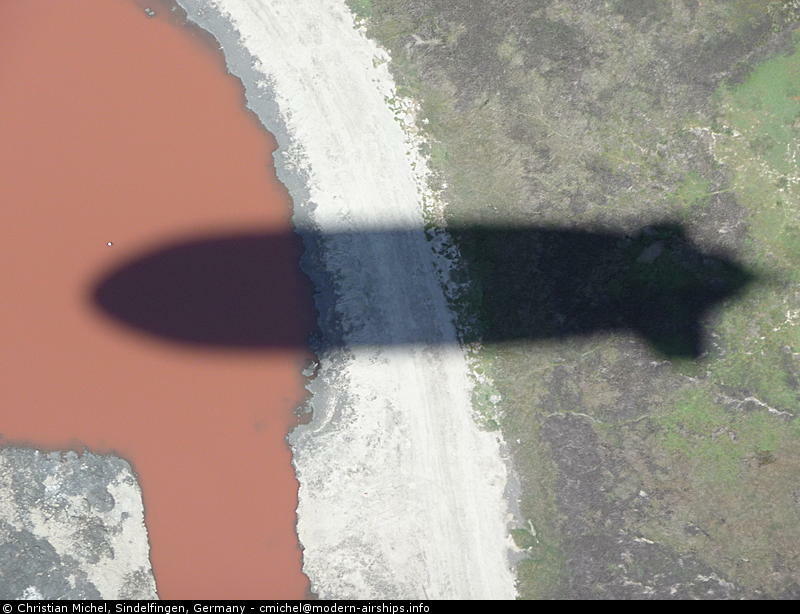 05-09 12:41 - Colorful ground and water. 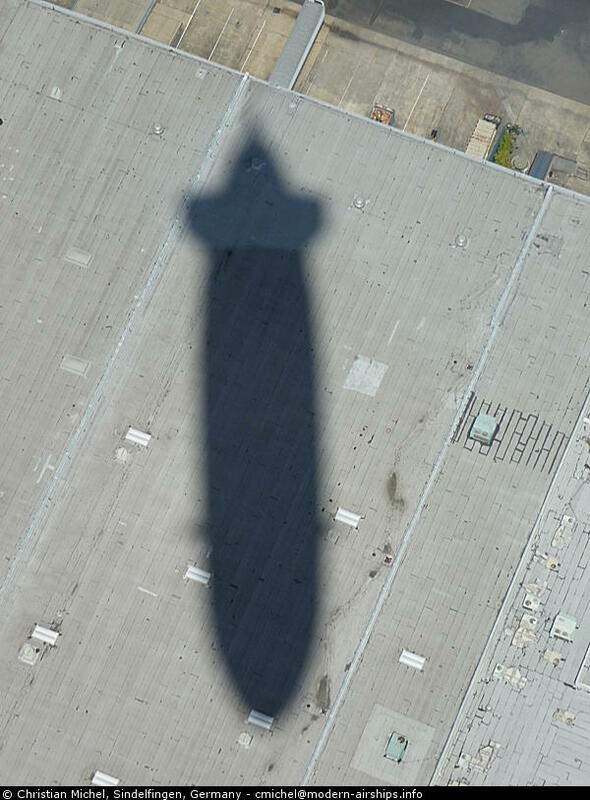 05-09 12:41 - Even the sun makes for nice photos. 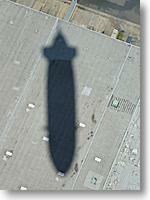 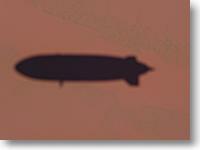 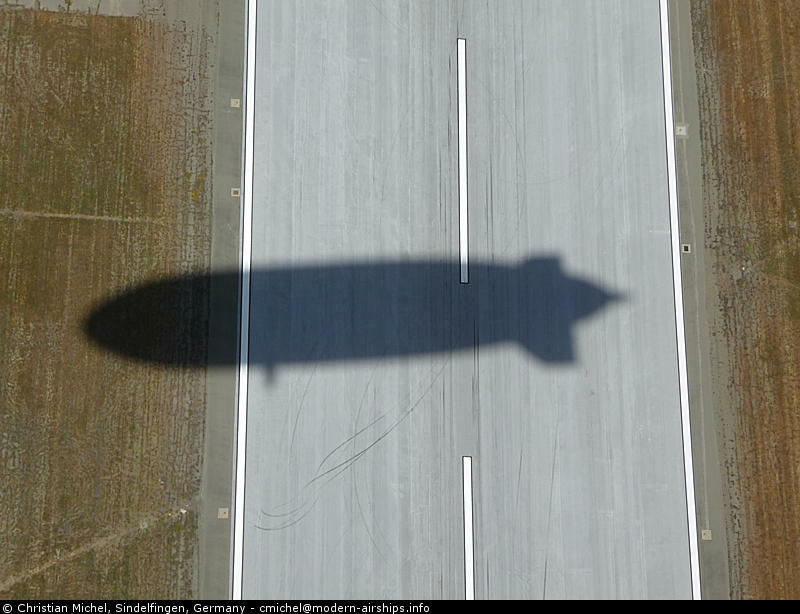 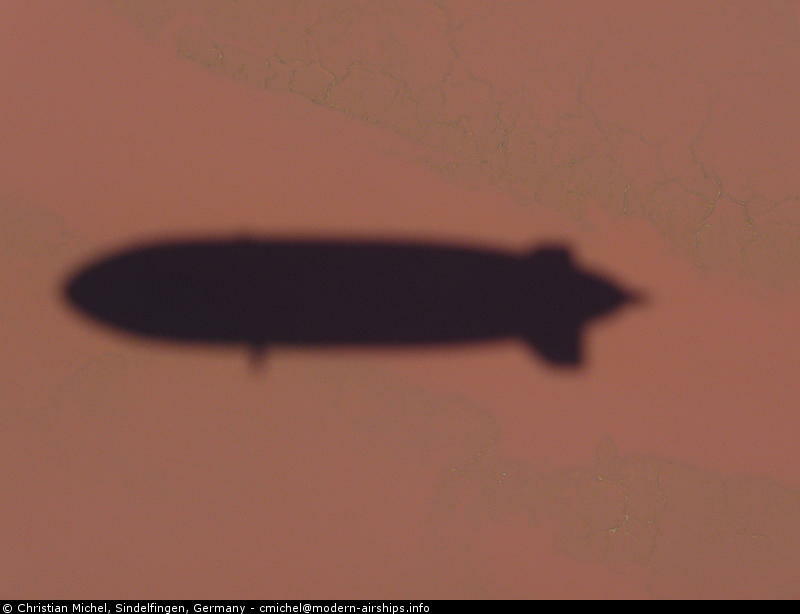 05-09 12:42 - As well as the shadow of the Zeppelin. 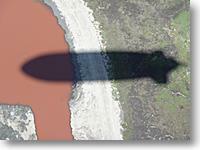 05-09 12:42 - Color layout of the Mexican flag upside down. 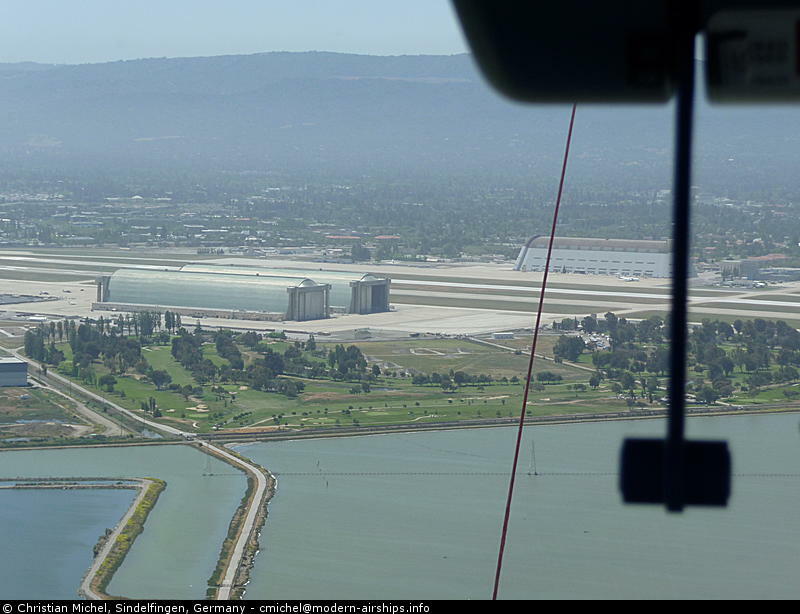 05-09 12:46 - Approaching Moffett Field. 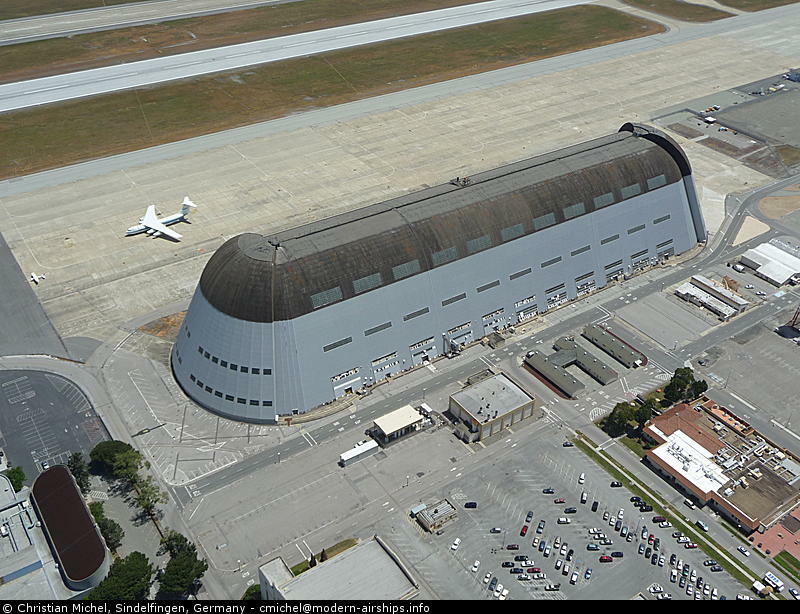 05-09 12:48 - Hangars 2 and 3. 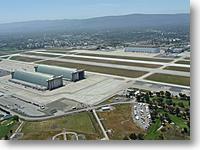 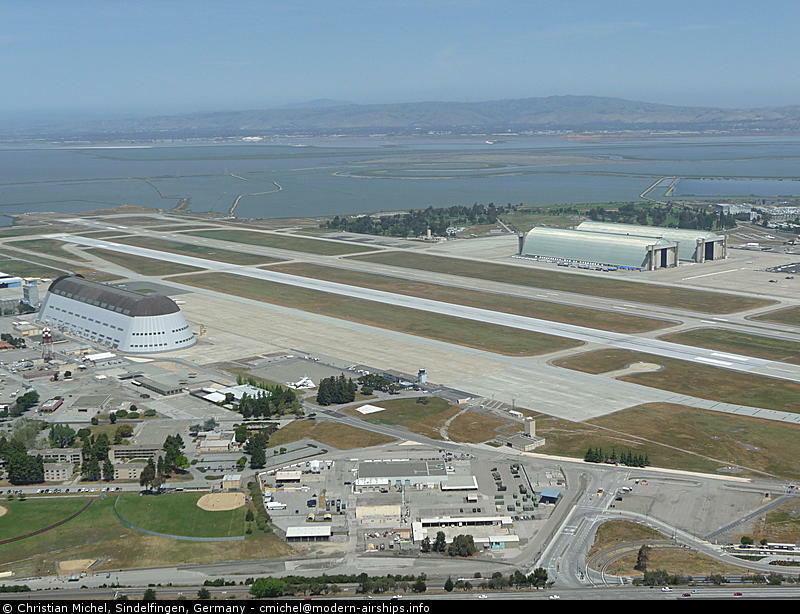 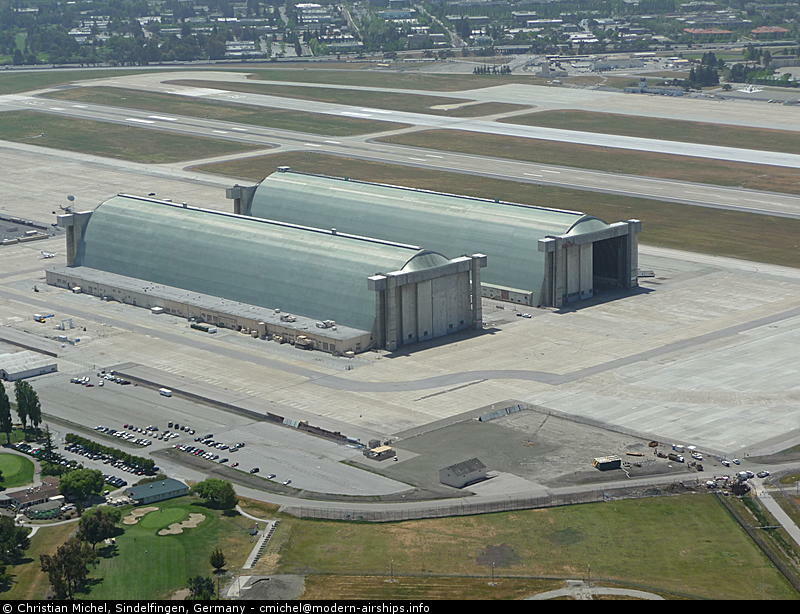 05-09 12:48 - Full view of Moffett Field. 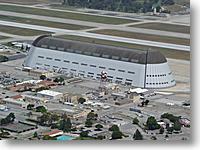 05-09 12:48 - Historic hangar 1 being home for several old airships. 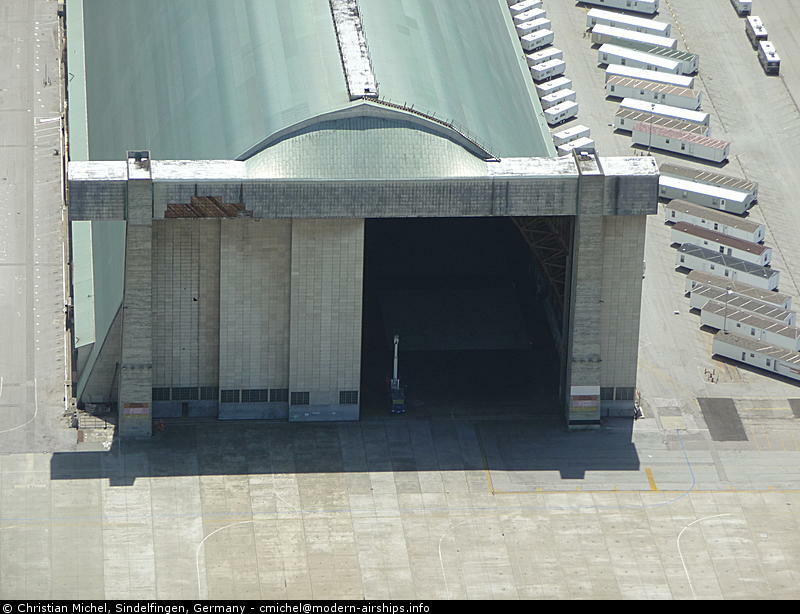 05-09 12:49 - The Zeppelin NT mast truck waiting for us in hangar 2. 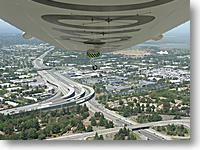 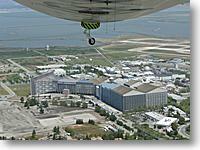 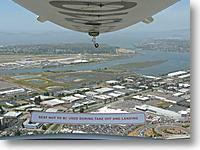 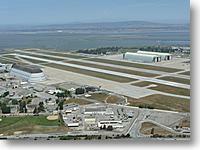 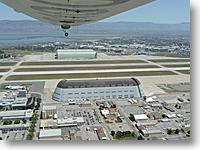 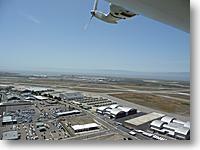 05-09 12:49 - We're crossing the Moffett Field runway to the north. 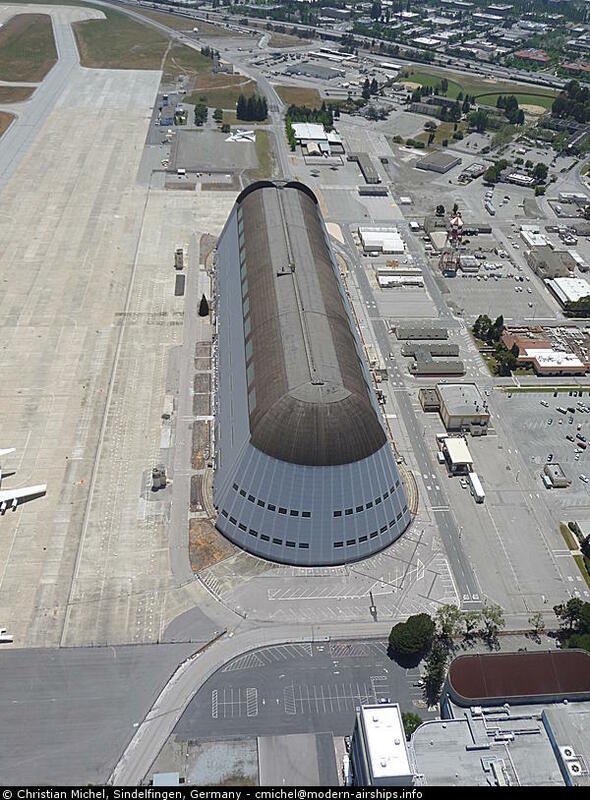 05-09 12:49 - Closeup views of historic hangar 1. 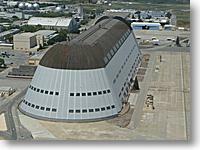 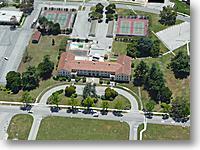 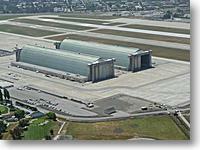 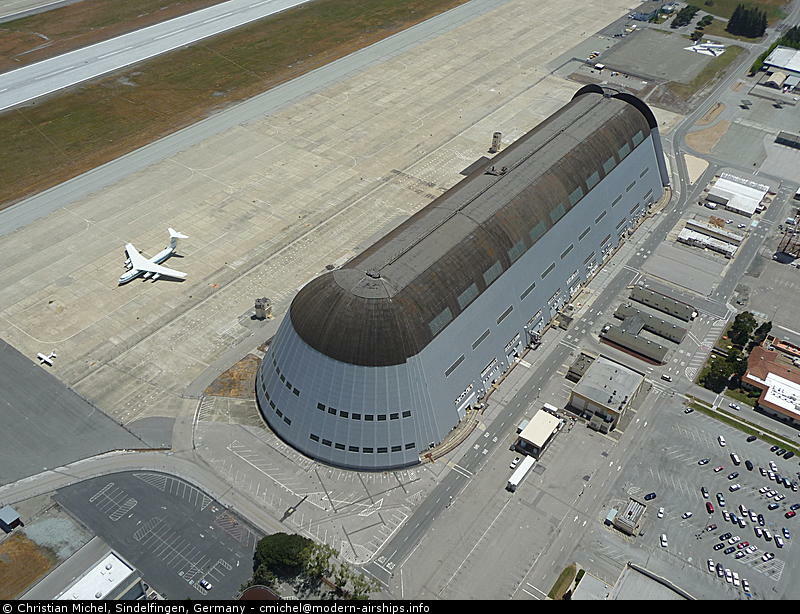 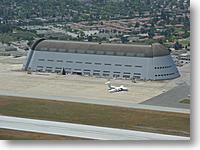 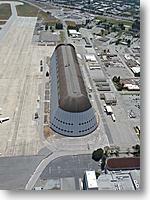 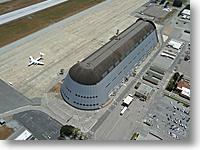 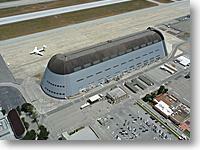 05-09 12:50 - Airship Ventures headquarter at Moffett Field. 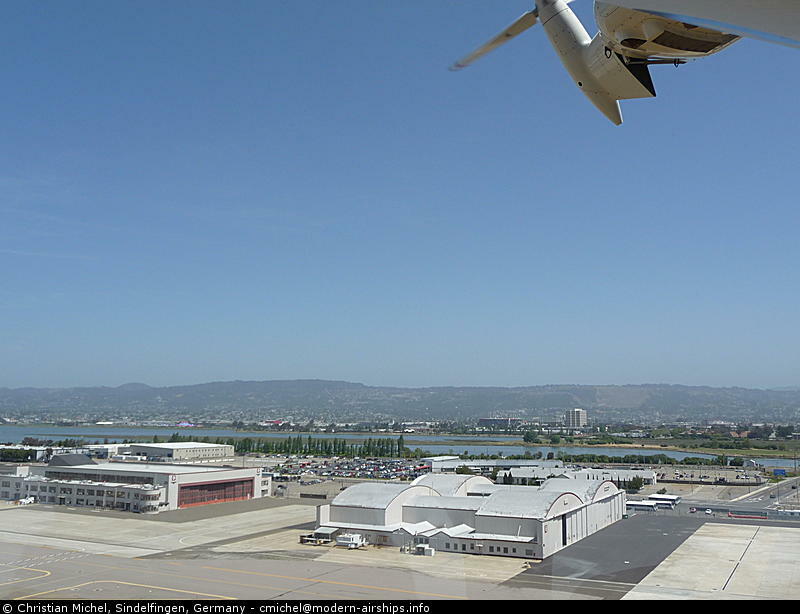 05-09 12:50 - Looking back while waiting for the ground crew to arrive. 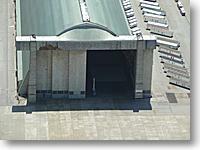 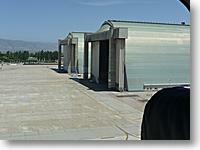 05-09 12:51 - Wind tunnel belonging to the NASA Ames Research Park. 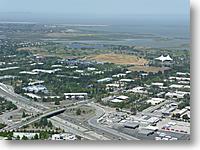 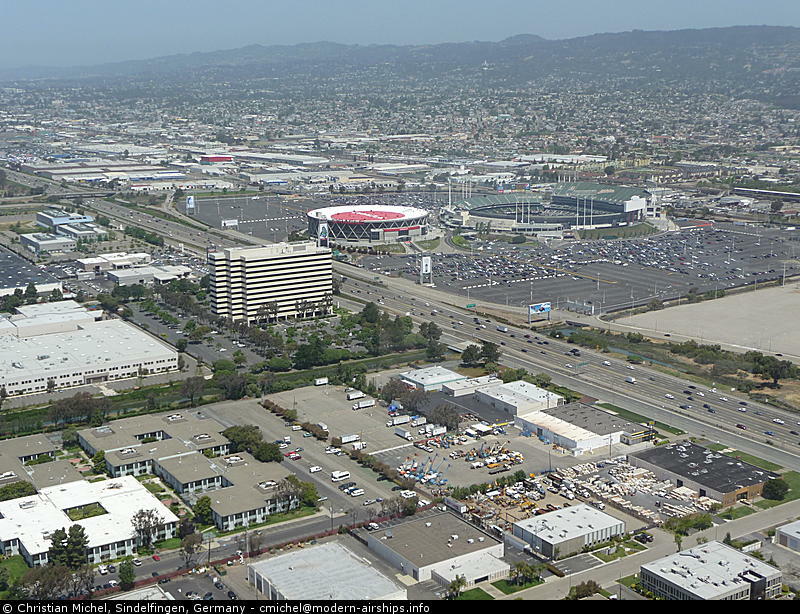 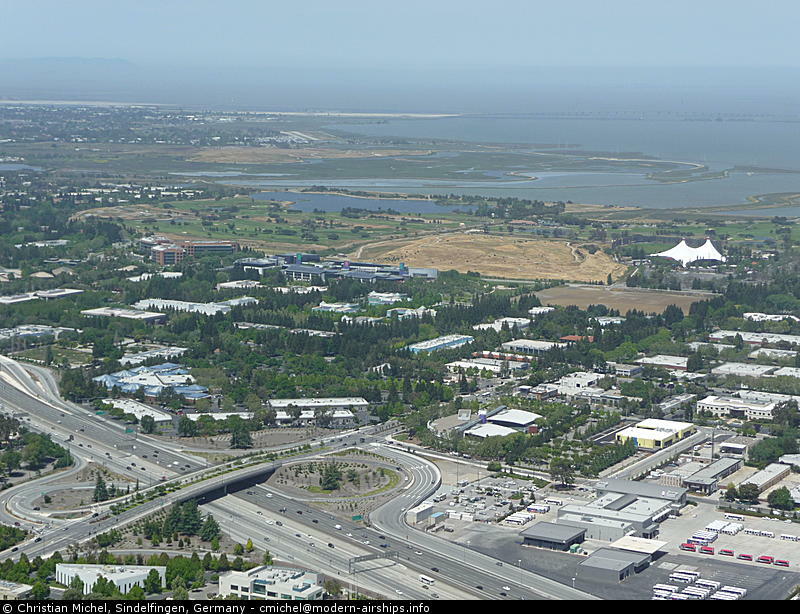 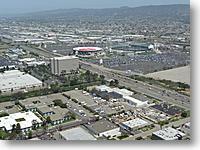 05-09 12:53 - Looking at the Google Plex and the Shoreline Amphitheatre. 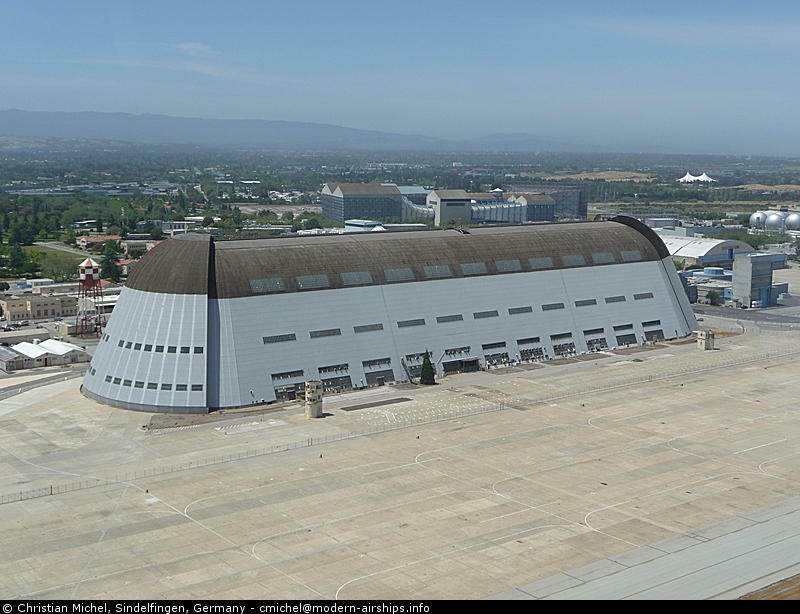 05-09 12:54 - Looking at hangar 1 from the north west. 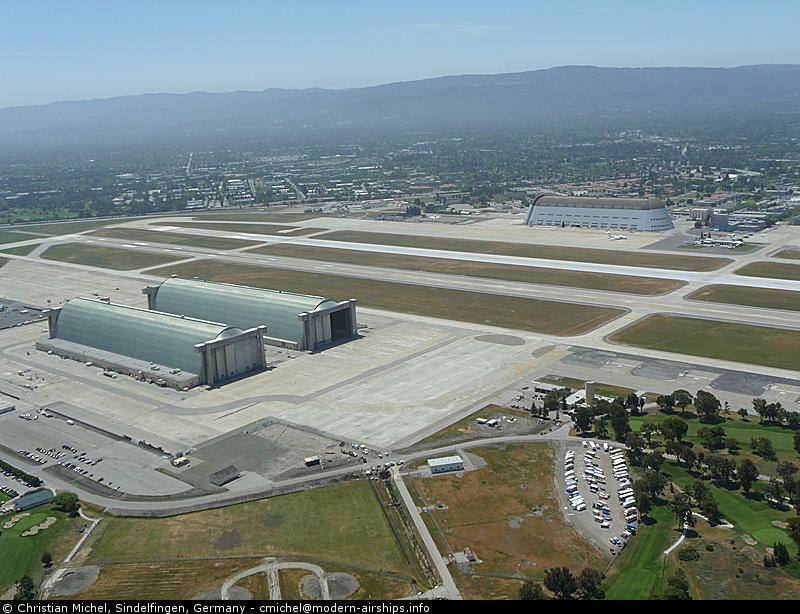 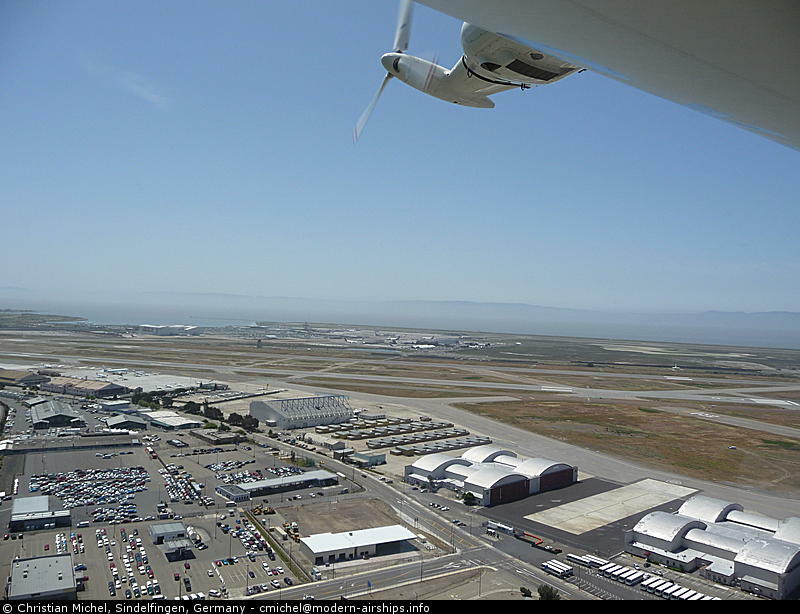 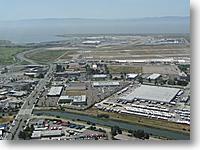 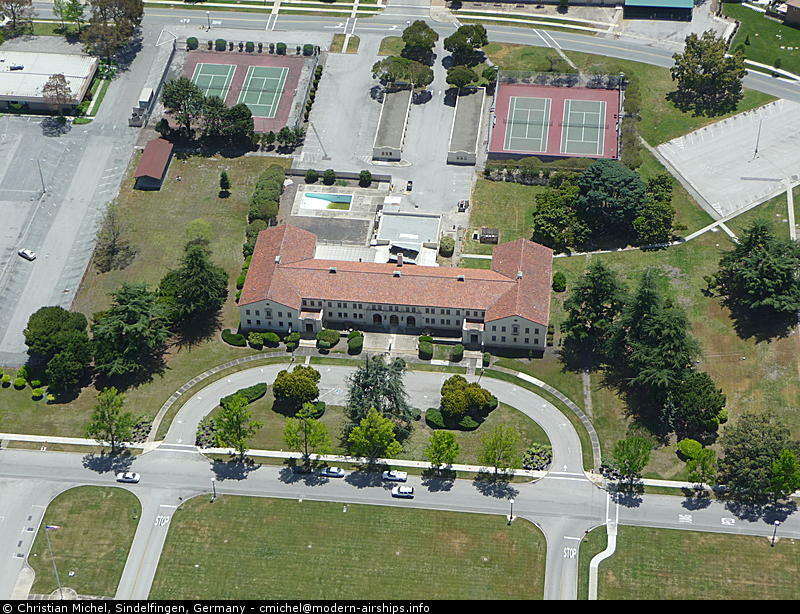 05-09 12:54 - Moffett Field overview. 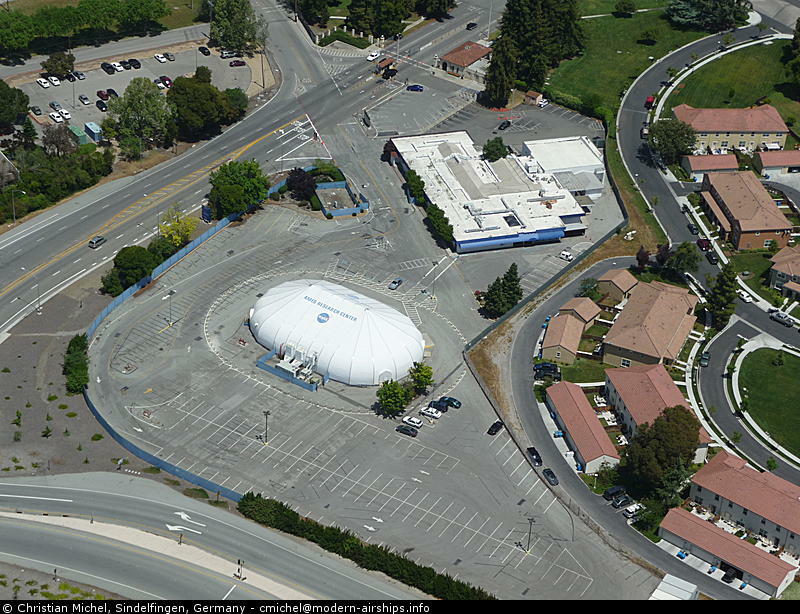 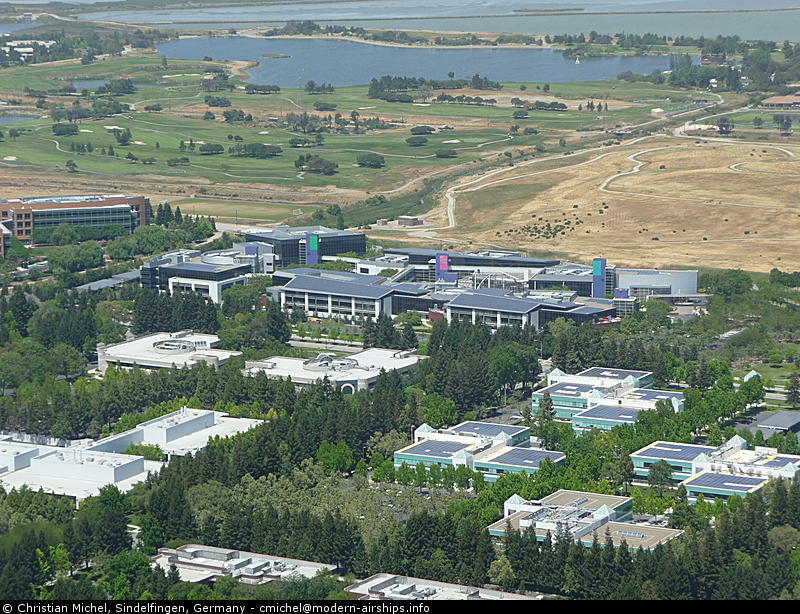 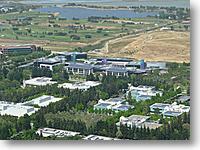 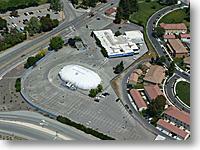 05-09 13:04 - Looking at the Google Plex, one of the big think tanks in the Silicon Valley. 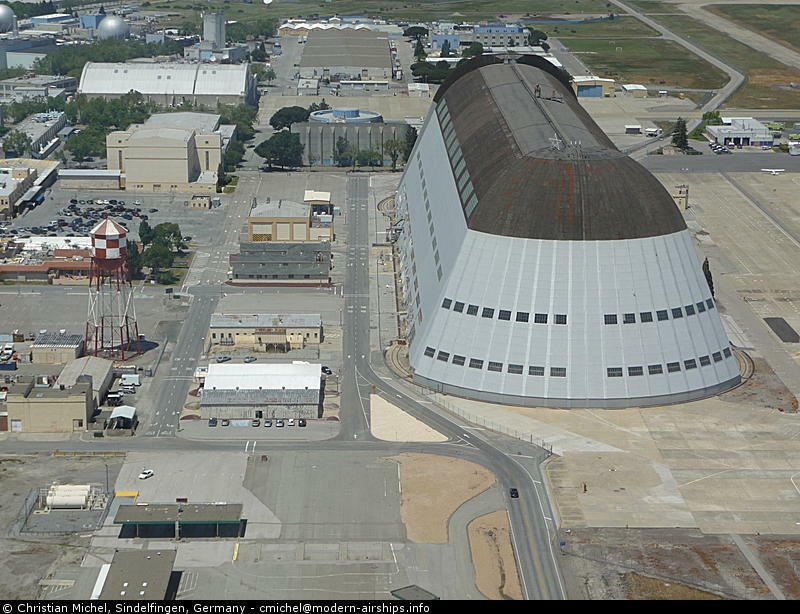 05-09 13:05 - NASA Exploration Center at the entrance to Moffett Field. 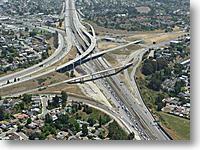 05-09 13:05 - I-85 feeding into I-101. 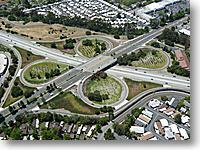 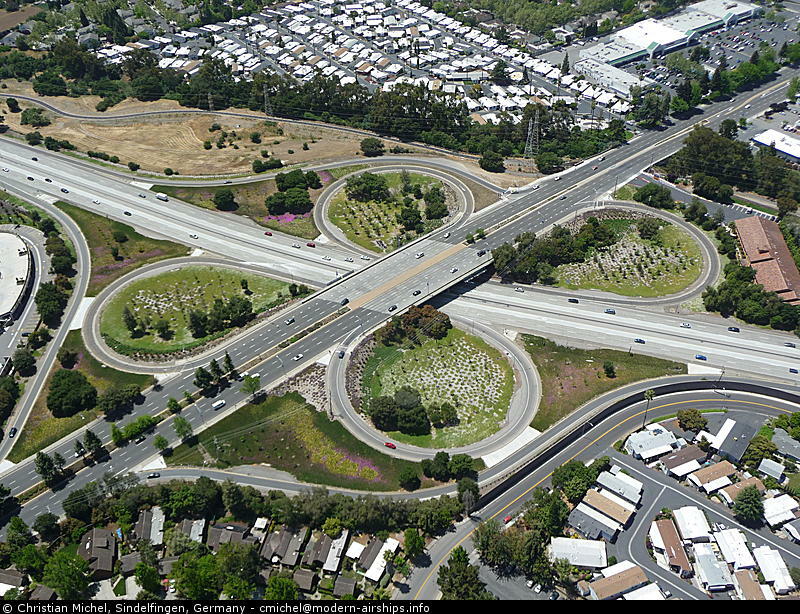 05-09 13:09 - Intersection between I-85 and Fwy 82 El Camino Real. 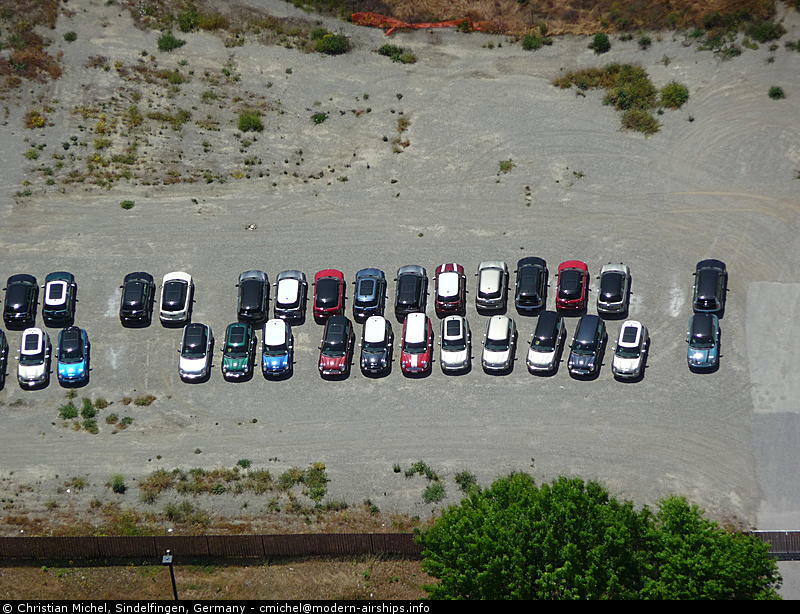 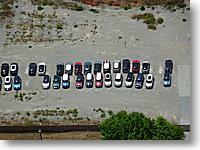 05-09 13:10 - A large "Mini" parking lot. 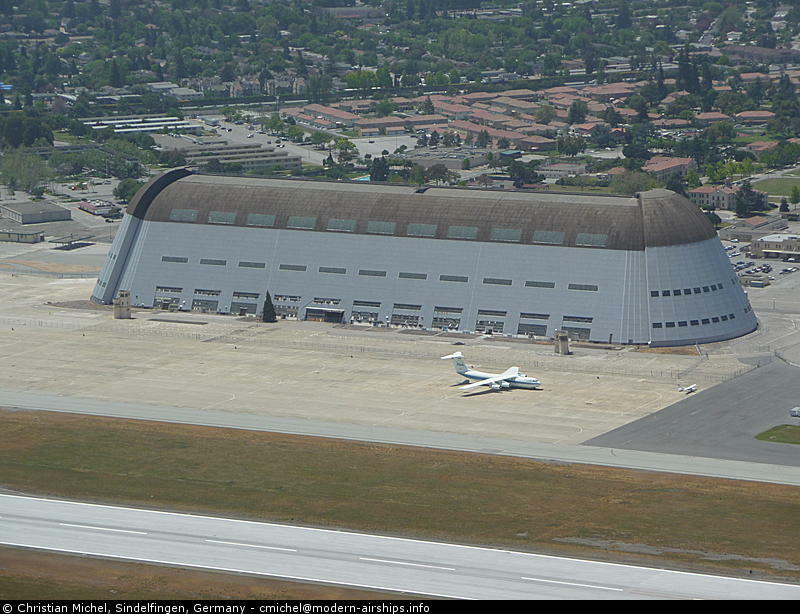 05-09 13:15 - Hangar 1 and the Moffett Field Museum (between hangar and water tower). 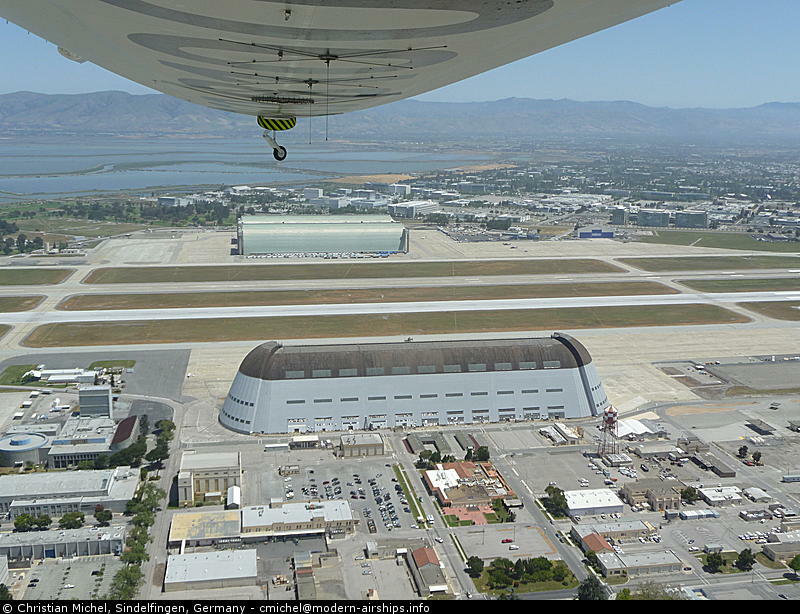 05-09 13:15 - Detail view on hangar 1 while coming in for landing. 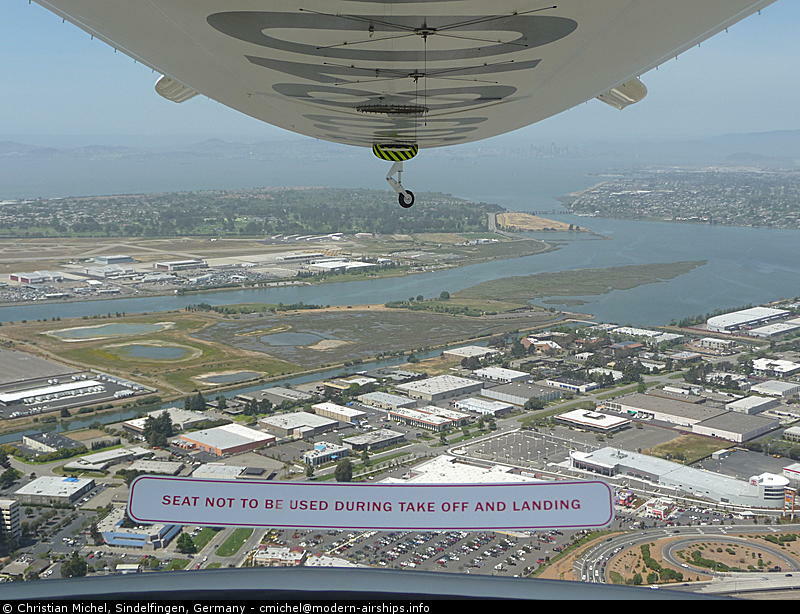 05-09 13:18 - Covering the last few feet before landing in front of hangar 2. 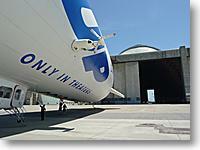 05-09 13:37 - Preparing the Zeppelin NT to go into the hangar. 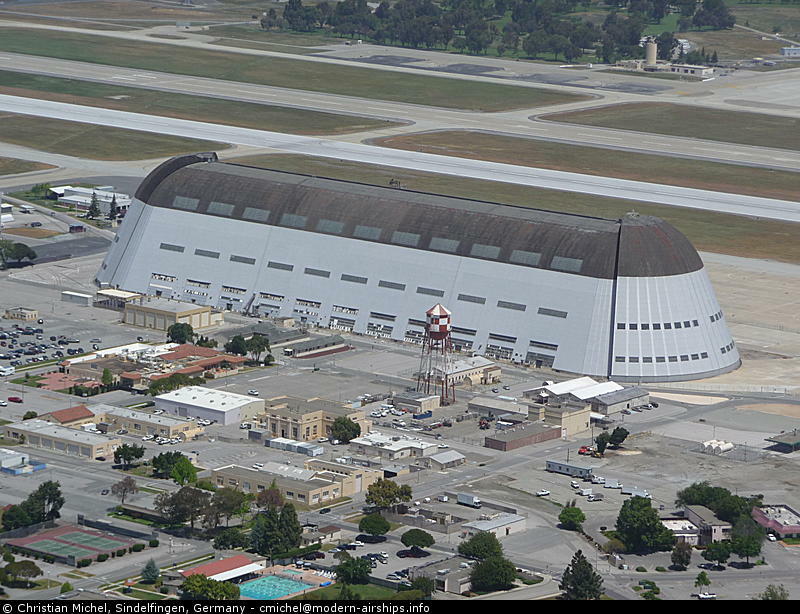 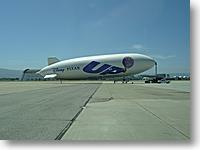 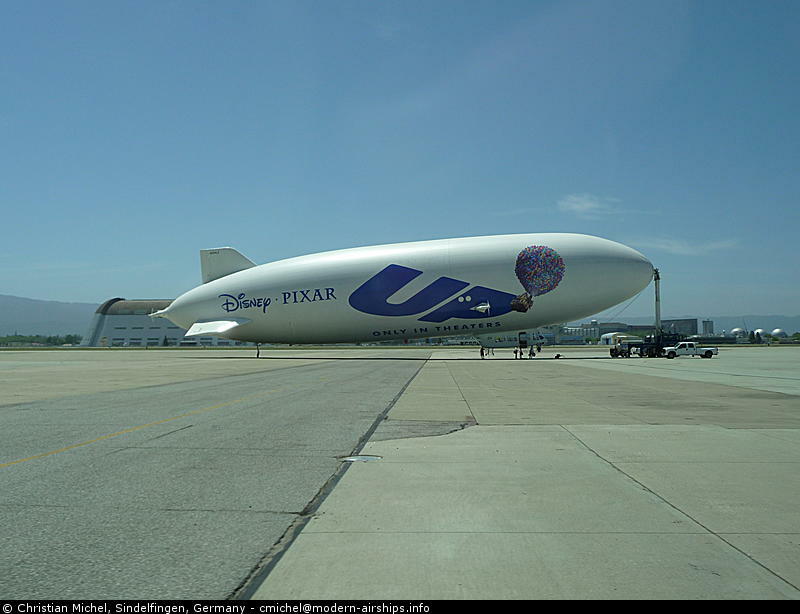 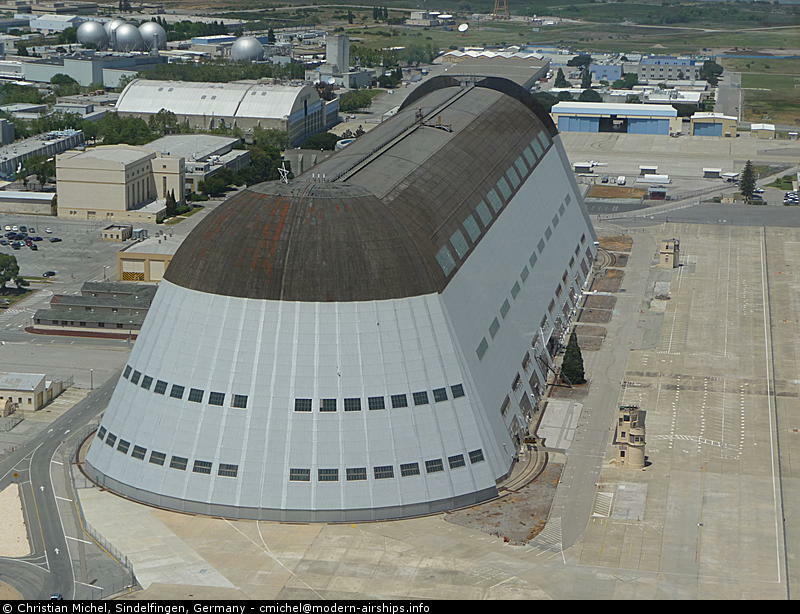 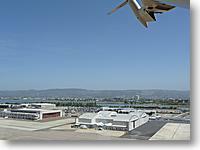 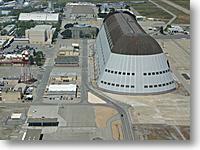 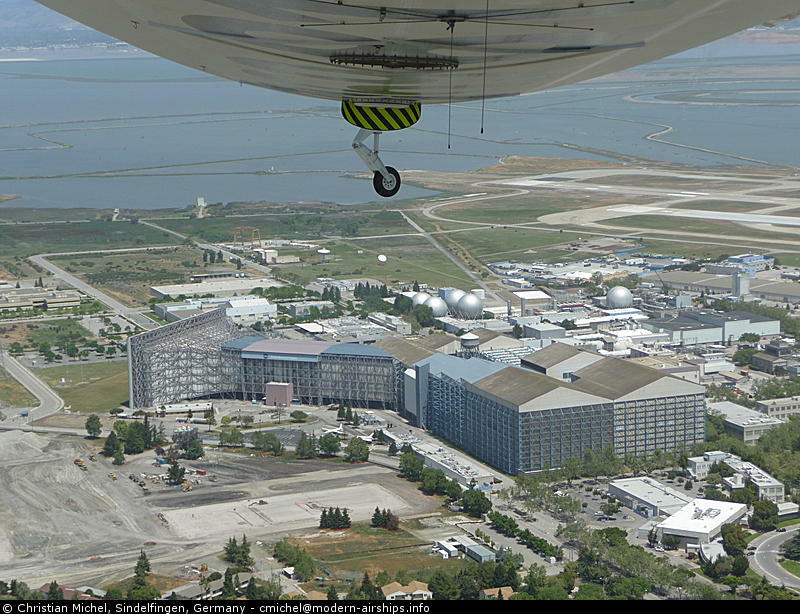 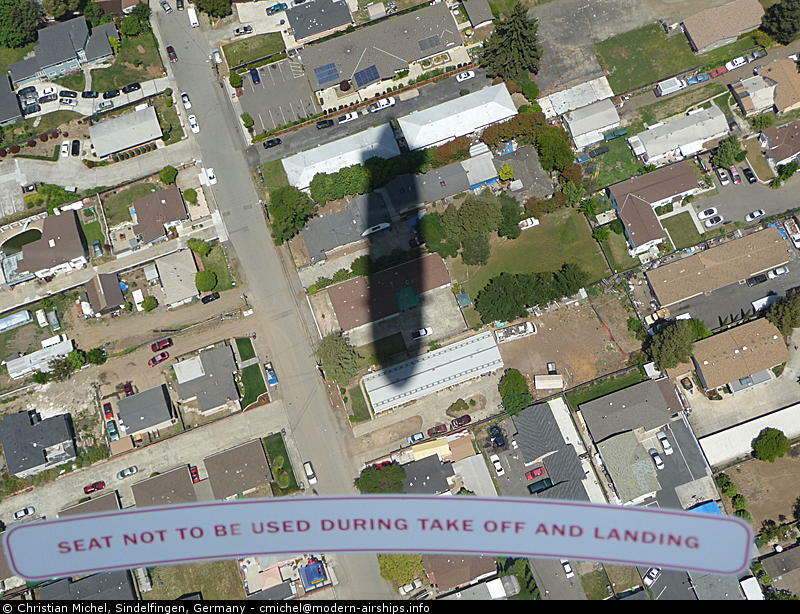 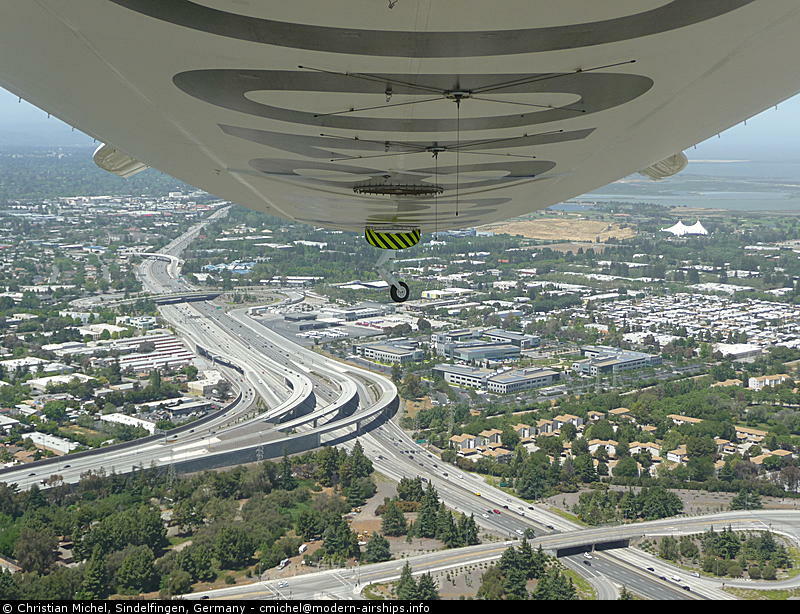 05-09 13:47 - Saying goodbye to the Zeppelin and Moffett Field.